I often remind myself of the Hare from the Tortoise and Hare fable. I run around like a madwoman for weeks or months on end and then I crash for a while, just to do it all over again. Over the past couple of weeks, all I’ve wanted to do with my free time is watch reruns of Downton Abbey. Although it was immensely enjoyable to just retreat into someone else’s fantasy world, all those little things I have been putting off are now reaching a level of chaos that has forced me to say goodbye to my little respite and enter back into the real world. The weeds in my yard are only getting bigger, and my mom’s chickens are quickly outgrowing their cage. I’m looking forward to the upcoming long weekend so that I can catch up on my odds and ends as things are feeling out of control. Thank god for that feeling because I know others that get into a funk and then stay like that for months or years on end. It seems like the longer you are in one, the harder it is to emerge from the depths of being funkified. One area where I feel like I’ve really grown since my 20’s is my understanding that a person’s body and mind needs rest and that I should allow myself breaks once in a while. In my teens and 20’s, I’d just go, go, go until I’d collapse from exhaustion. The only time I would take breaks is when I would get sick and even then, I’d still try to plow through an illness because I had too much to do. These days, I try to allow myself downtime and convince myself that the reason I’m not being productive is that my brain needs a break. Knowing that I work in these little spurts has made me a bit more accepting of myself and the way I work. I have to give some credit to my husband because he’s the tortoise in our relationship and he understood long before I did, that he shouldn’t expect me to work at his pace and vice versa. If I wanted to do a 14 hour painting session and then nothing for weeks thereafter, that was fine with him as long as I didn’t expect the same level of intensity from him. Similarly, when he tinkers away at something for an hour a day, I should be glad of it and not wonder why he can’t just keep going until he’s finished with the task. Generally speaking, I don’t necessarily believe that slow and steady wins the race, but there are many different ways to get from start to finish in life. Since the bulk of our remaining home improvement projects are at my mom’s house, I’m constantly hearing her say to me that I should take my time and it’s not urgent to finish this or that. This advice drives me nuts when I carve out a bit of time to work around her house and she is sitting there nagging me and trying to talk me out of it in order for me to sit and enjoy a cup of tea instead. Most of the time, I like being busy and when I tell her I’m enjoying myself, she cuts me a little slack. Plus, some of the projects have been ongoing for 4 years and are still not 100% done and I just need closure on a few things. I guess she realizes that in the grand scheme of things if a task takes a few years vs a few months, it matters little over the course of a lifetime. As much as I try to be accepting of my hippety hop ways, I still always curse myself for not snapping out of my breaks faster. I started weeding yesterday and the yard looked horrid up close and I really wondered why I didn’t do more sooner. Do you have any tricks to how to snap out of a funk, or do you embrace it until boredom sets in or you run out of food and clean underwear? For me, laundry is a constant habit like brushing my teeth, so that’s not a trigger, but other things are, like the bare shelves in the pantry cupboard or the state of my perennial beds. In other news I decided to enjoy the nice weather, so I’m pulling back on my house search. There is too much garbage out there right now and I can’t say there are any really enchanted places for sale that make me want to uproot myself and significantly increase our cost of housing and renovation budget. I’ll still keep looking at new listings but spending hours every week looking at homes is no longer going to be part of my MO…at least not until fall when people may be more likely to negotiate. At present everyone’s waiting for the rich NY’ers from the city to pile in for the summer and gobble up their overpriced properties. We’ll see if that happens this year. Property sales were at an all time low last year, but I think a good part of that was because listings were still at nosebleed levels. People who are shopping now are bargain hunters and they aren’t going to be paying top dollar at the bottom of the market. Why would they? With funks, I think it’s important to realize I need a break and set a reasonable time limit for that break. An afternoon, a day, a weekend, or a week. And then not feel guilty during that time period because it is an enforced break. Nicole – I like the time limit bit. The catholic guilt sometimes is hard to shake though. I get into funks and I try not to allow myself to fall too deeply into it – I haven’t quite accepted that breaks are ok but I hope to be able to let go eventually. Daisy – I think the issue is that whether you want to accept taking a break or not, sometimes your brain just does anyway, and it doesn’t feel like a break at all. Instead it feels like low productivity, which makes you feel even worse. I think scheduling stuff like that should help. I’m not that great at allowing myself any slack, but am learning. I think funks are a normal part of life, but if they go on for more than a couple days I always try to think about what could be going on. Have I been eating well and taking my vitamins? Have I been getting exercise? Has something happened in my professional or private life that is hitting me hard? If I can try to figure out what is bothering me, then I can start addressing the problem(s). I tend to create a very busy life for myself, so I think having a few days here and there where I’m low productivity is OK. I try to cut myself some slack. Even when I’m “low productivity” I’m still usually engaged in something. I may be reading up on a certain topic that has caught my interest (growing fig and plum trees…investing in dividend stocks…identification and uses of common backyard weeds…how do to a Russian join or spliced join with yarn…what are the current popular knitting patterns on Ravelry…interesting bedroom furnishings…etc.) or I may be just reading a very engrossing fiction book. I may be sitting in front of the TV, but I’m usually knitting when I do so. It’s extremely rare that I’m sitting down and doing nothing but zoning out in front of the TV, but when that happens I know I am not well and my body/mind needs a break. It’s OK to be unwell for a few days. Linda – it’s true. Usually it’s tied to some stressful event that makes you want to shut everything else off so that you can just focus on resolving that one thing. 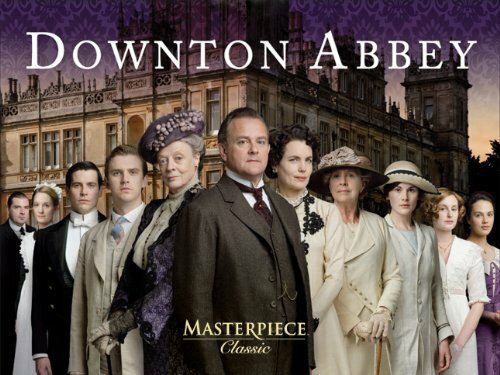 BTW, love, love, love Downton Abbey! Cynthia – I’m not one for watching shows as they come out in Primetime. It’s great to have been able to watch 2 seasons back to back. The only bad part is now I’m dying for season 3. I only have time to grocery shop on the weekends and like you, when the weather’s nice, the last place I want to be is in a store. My freezer is pretty bare bones at the moment. I usually batch cook a bunch of stuff and I’m out of many of my staples. Last year, I wanted to redo my garden. I knew I wasn’t going to get it done on my own so I got help. I had two Couchsurfers come and volunteer their time and hired one person at $10/hour on a separate day. It definitely gave me the kickstart I needed. Sometimes another person’s energy is enough to get you going. What a cool idea! I would never have thought of inviting Couchsurfers to help with something like that! Great idea as well. I love digging in my yard normally, but I know once I start, it’s hard for me to stop without wanting to do all of it and I know my giant patches of perennial beds can’t get weeded in an hour, or even a weekend. It’s a big task. Having help also is great. My mom always says many hands make for light work. Crystal – Maybe it’s just the nice weather. It’s harder to be productive when the season changes and you want to be outside all the time after being cooped up all winter. I think I’m just now entering a funk. I’ve been subbing the whole semester and have hardly had a chance to find a “real” teaching job. Now that I’m looking more seriously, there’s hardly anything out there that fits my criteria and matches my credential. So, of course I’m freaking out! It doesn’t help that 3 people in my cohort of 12 from last semester have already gotten jobs, so now I feel like the loser in the bunch. I’m trying to reason my way out of this thinking, but it’s hard to do. Thankfully, I have some downtime this weekend (if you count planning summer school “down time” ) to regroup and get some focus and clarity. Little House – I’m thinking good thoughts for you. Hopefully something will turn up soon. The plus side, is that at least you know what you want from a teaching job. I probably wouldn’t be as patient and just jump into the first thing that became available but that’s a whole other topic for another day. I was in a total funk about a month ago, but I am running around like a mad woman also. We have impending house selling, moving across country and ocean , and this is the only month I get to see my husband this year. So I am legitimately busy but once this chaos dies down I think I will crash for a couple months. Hopefully the summer will bring better prospects for your house hunting search. Best of luck and hope you get to enjoy the weather. Niki – being in limbo is tough, but certainly there’s plenty to do now that you know you’re going to such an awesome spot. Hopefully learning to surf is on your short list of things to do when you get to Hawaii. As I’ve gotten older, I have definitely learned that the body and mind both need rest. On the other hand, projecting out this increasing need to older years, it tells me that I need to get more done as early in life as possible. Some things don’t get easier as people get older, which counterintuitively puts more pressure on me to do things now. All that said, I totally agree that we do need to decompress and take breaks. No need to push ourselves beyond our limits, because such intensity isn’t sustainable for most people I know. Squirreler – Yes, I totally think back to those years where I worked super long hours and wonder how I managed it. I’m glad to have certain things behind me like my schooling. Would hate to do the college thing again as I approach my 40’s. I hated those all nighters. I’ve yet to master a method of snapping out of funks, myself. I’ve spent most of this past weekend re-watching seasons 5 and 6 of How I Met Your Mother. (Don’t get me wrong, it’s an excellent series, but I had hoped to get more done before the last week of May was done). I have found, oddly enough, that one thing that encourages me to get out of my funks is reading things like this that mention how other people experience funks like this. There’s something about being reminded that I’m not the only one who this happens to (and perhaps more to the point, that I’m not that only one who has times like this). It’s good to know I’m not the only one who finds himself in a funk from time to time. Roger – Hilarious show and yes, it is a shocker that we are already almost in June. How did that happen? i believe you should work hard when it matters. cant work hard all the time. pick and choose when the returns justify the input. house prices are at a high in my area. socal. thats why we are selling and not buying. 1% – The working smarter, not harder things is a good lesson. Questioning the value of certain tasks (especially at work) is key. I just ordered a business card organizer because I have spent too much time flipping through my stacks and thinking that I someday will enter the names into my computer. In the meantime, finding contacts was getting harder and harder, so I am settling for an intermediate solution that will deal with that particular ineffeciency. Sometimes it’s important to give your body and mind a break. I’ve been working non-stop the past couple of days on a single task, ignoring everything else even my own sleep. Now my head feels a bit dizzy, which is probably a good sign that I need to do something else and switch it up a bit for the day.